Tap here to check the campaign lineups! - Only Tops and Bottoms of Avatars! Check out the 3rd Anniversary Avatar Chest! - "1st Piercer Pack" Orb x10 First Time Only! - [Item Chest] Make the Second Slot on body armors with "Legendary Needle"! - "Silver" Series Win Rates Boosted! Limited Time Offer for "Fenrir"! - Special Offer for "Maid Swimwear"! - Special Offer for "Suzuki P's Selection"! - "EXP Pack" on Sale! 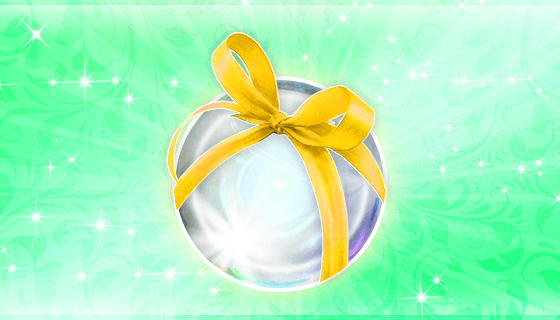 - Special Offer on Orb Item! - [Avatar Chest] One Time Only Everyday! "Open x11" for "Orb x11"! Only Tops and Bottoms of Avatars! Check out the 3rd Anniversary Avatar Chest! 3rd Anniversary Avatar Chest, which contains only tops and bottoms of avatars, is now out for a limited time! The price of the first purchase will be "Orb x30", "Orb x40" at second, "Orb x50" at third! *Available 3 purchases per day. *Purchase limit will reset at 12:00 AM (JST/GMT+9) everyday. Tap Menu > Orb Shop > Orb Shop / Treasure Chest and check this out! *"3rd Anniversary Avatar Chest" is only available with "Open x11". There is no "Open x1" option. *Avatar items released by May, 2018 are included. *Certain avatars such as "avatars with limited colors" and "collaboration avatars" are not included. Please confirm the lineup before purchase. *The rarity stars are applied to individual chests, so they may differ for the same items. *"3rd Anniversary Avatar Chest" will be removed from Orb Shop when the campaign ends. *The winning rates will differ from item to item even if the items have the same rarity. *You may get the same items by opening the Treasure Chests multiple times. *The campaign period is subject to change. *The image above is just a sample image. "1st Piercer Pack" Orb x10 First Time Only! A super rare pack that contains at least one item to add the first slot to equipment is 100% guaranteed! 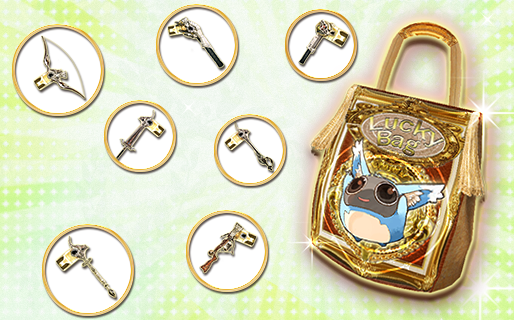 You can purchase "1st Piercer Pack", which guarantees at least one item to open the first slot on equipment, for only "Orb x10"! This is the great chance to get the useful items at once! 1 item will be selected from each category below and you will get 4 items in total. - Piercer [Katana] : Adds 1 slot to a 0-slotted Katana. - Piercer [Halberd] : Adds 1 slot to a 0-slotted Halberd. - Piercer [OHS] : Adds 1 slot to a 0-slotted One-Hand Sword. - Piercer [THS] : Adds 1 slot to a 0-slotted Two-Hand Sword. - Piercer [Bow] : Adds 1 slot to a 0-slotted Bow. - Piercer [Bowgun] : Adds 1 slot to a 0-slotted Bowgun. - Piercer [Staff] : Adds 1 slot to a 0-slotted Staff. - Piercer [Magic Device] : Adds 1 slot to a 0-slotted Magic Device. - Piercer [Knuckle] : Adds 1 slot to a 0-slotted Knuckle. - Fairy Silk : Adds 1 slot to a 0-slotted additional gear. - High-Grade Ornament : Adds 1 slot to a 0-slotted special gear. - Spirit Needle : Adds 1 slot to a 0-slotted body armor. 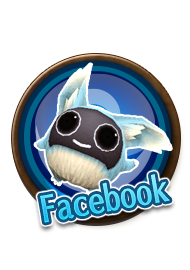 - Libera's Book IV : Increases EXP Gain from monsters by 400% for 1 hour. - Virgo's Book IV : Increases Drop Rate from monsters by 300% for 1 hour. - Tenert's Book IV : Increases EXP Gain by 400%, Drop Rate from monsters by 300% for 1 hour. - Libera's Book III : Increases EXP Gain from monsters by 300% for 1 hour. - Virgo's Book III : Increases Drop Rate from monsters by 200% for 1 hour. 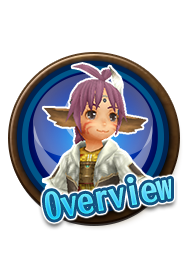 - Tenert's Book III : Increases EXP Gain by 300%, Drop Rate from monsters by 200% for 1 hour. - Reset Book : Resets the stat points distributed. You can distribute the stat points again. - Extraction Crysta : Safely detaches a crysta on equipment. - Life Potion x10 : Restores 100% of HP. - Mana Potion x10 : Restores 2000 MP. - Revive Droplet x10 : Ignores the resurrection time. - Strength Gem + x3 : STR +30% in a boss battle. - Intellectual Gem + x3 : INT +30% in a boss battle. - Vital Gem + x3 : VIT +30% in a boss battle. - Agile Gem + x3 : AGI +30% in a boss battle. - Dex Gem + x3 : DEX +30% in a boss battle. - Mana Gem + x3 : MaxMP +300 in a boss battle. - Guard Gem + x3 : Guard Rate +15% in a boss battle. - Evade Gem + x3 : Evasion Rate +15% in a boss battle. 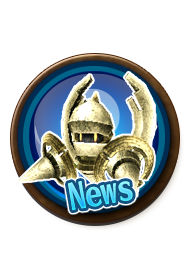 - Victory Gem : Support Item for Boss Battles.Enhances the players' stats. *The price will become Orb x30 from the second purchase. *The schedule is subject to change. *There is no limit to the number of purchase. *The winning rates of the items are set individually in each category. *You can check the Special Items you won from Menu > Orb Shop > Use Special Items. [Item Chest] Make the Second Slot on body armors with "Legendary Needle"! 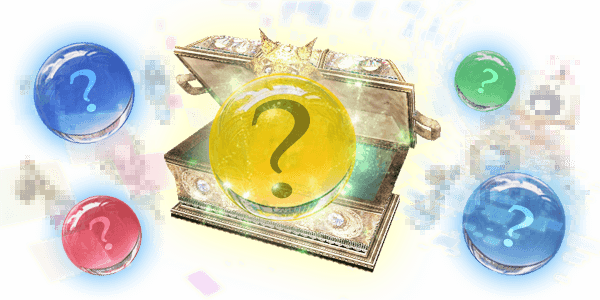 "Legendary Needle" will be added to the lineup of Item Chest until August 11th at 11:59 PM (JST/GMT+9)! The price for "Open x11" will be "Orb x11" at your first purchase, "Orb x20" at the second, "Orb x25" at the third during the campaign period!!! - Legendary Needle: Adds 1 slot to a 1-slotted body armor. *You cannot use "Legendary Needle" on 0-slotted body armors. *You may get the same items by opening the Item Chest multiple times. *The remaining time of the new items decreases while you are logged in. *If you close the app with Home button, the remaining time of the new items may keep decreasing. "Silver" Series Win Rates Boosted! Limited Time Offer for "Fenrir"! Avatar Chest: "Fenrir" is on sale until August 11th, at 11:59 PM (JST/GMT+9)! The win rates of Avatar: "Silver" series are boosted! Also, the price for "Open x11" will be "Orb x11" at your first purchase, "Orb x20" at the second, "Orb x25" at the third during the campaign period!!! The icy claws and fangs tear down everything! The avatars of the devil that controls ice! *The win rates boost are compared with those of "Fenrir" released on 5/16/2018. *You can check the avatars you won from Menu > Character > Equipment > Avatar. *"Fenrir" will be removed from Orb Shop when the campaign ends. Special Offer for "Maid Swimwear"! This is a special campaign for "Maid Swimwear"! Bring "Kawaii" from the beach to the streets! Stylish equipment with distinctive frills! Special Offer for "Suzuki P's Selection"! This is a special campaign for "Suzuki P's Selection"! The price for "Open x11" will be "Orb x11" at your first purchase, "Orb x30" at the second, "Orb x40" at the third during the campaign period!!! 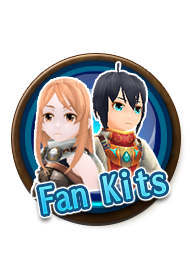 The special avatar chest that includes the avatar items that Toram Online Producer Suzuki picked up! "Sea Spirit's Wings" included in the lineup! *Please check the lineup to confirm the items and rarities. A reasonable item pack containing the items to support your adventure is now on sale! 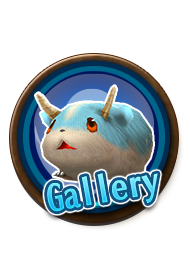 *This item is available for Orb x8 per item and you can purchase up to 3 times. Increases EXP Gain from monsters by 200% for 1 hour. Increases EXP Gain from monsters by 300% for 1 hour. Increases EXP Gain from monsters by 400% for 1 hour. Special Offer on Orb Item! We would like to announce a special discount on Orb Item. During the campaign period, you can buy the following items with special prices! *There are no limits in the number of purchases and discounts. [Avatar Chest] One Time Only Everyday! "Open x11" for "Orb x11"! During the following period, you can purchase "Open x11" of All Avatar Chest for only "Orb x11" one time only per day. *This campaign does not apply to "3rd Anniversary Avatar Chest". *The discount will be reset at 12:00 AM (JST/GMT+9).